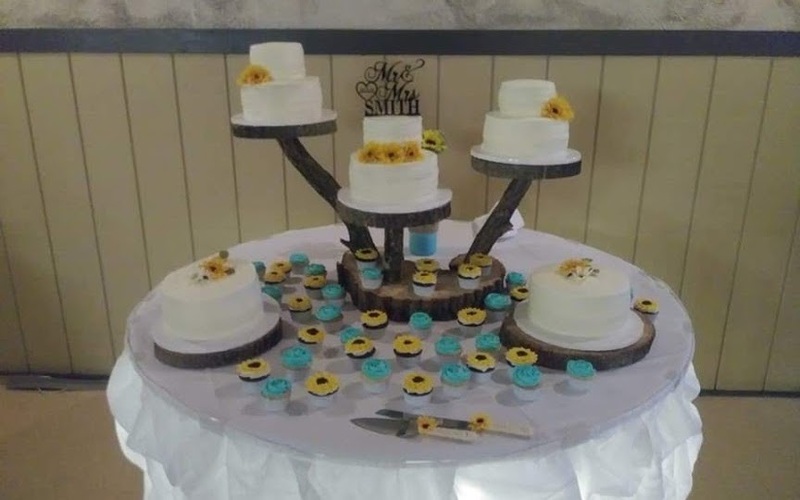 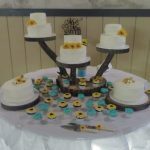 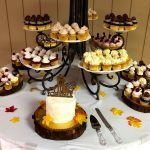 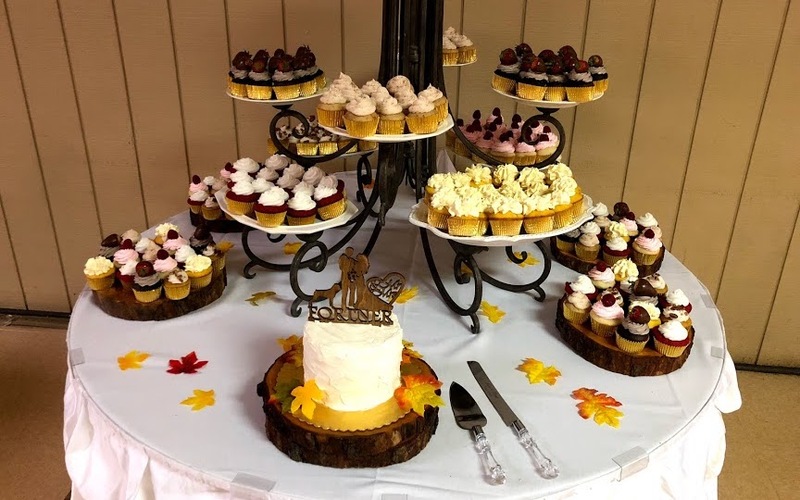 This creative display featured five different cakes on different wood blocks with plenty of delicious cupcakes filling in the gaps. 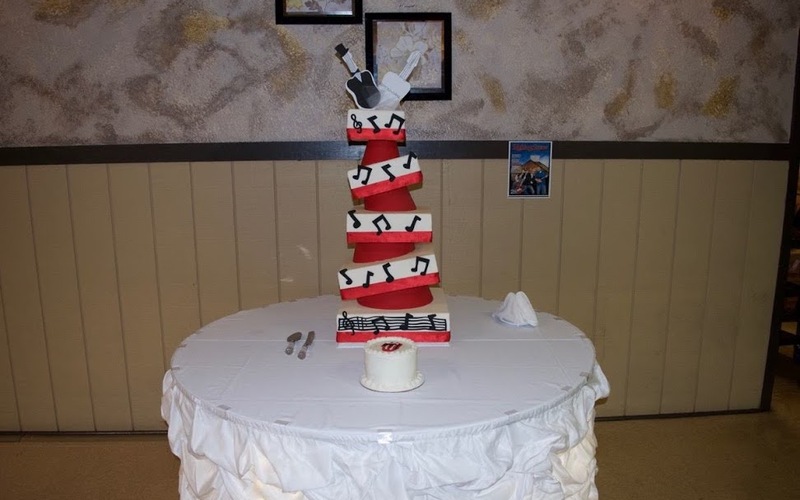 This fun Rock & Roll cake continued the bride and groom’s red and black color scheme and featured music notes on each layer with guitar-themed cake toppers. 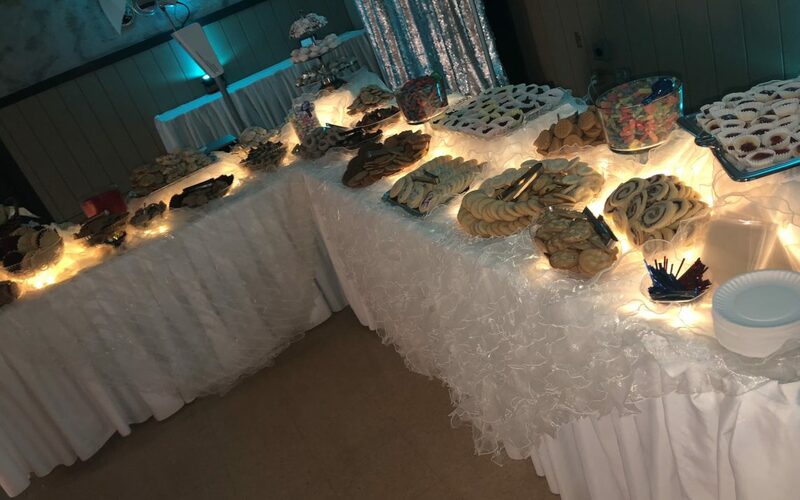 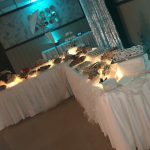 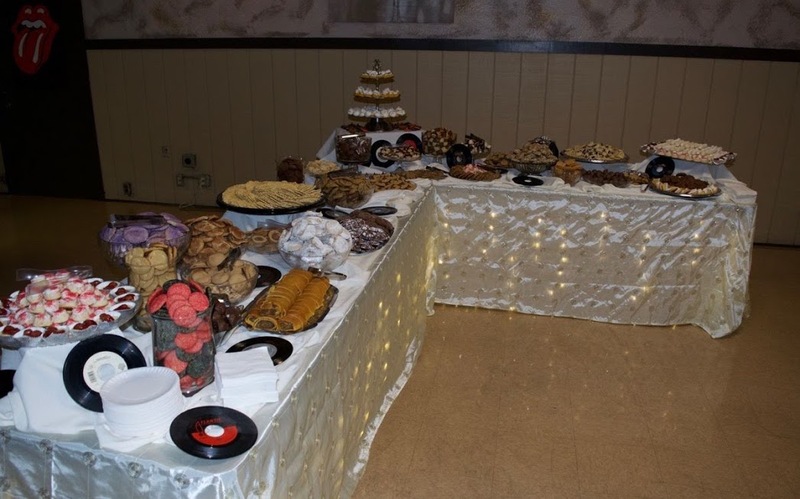 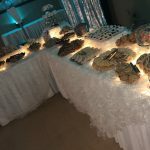 The music theme also made its way over to the cookie table where we saw some classic 45s mixed in with the cookies.